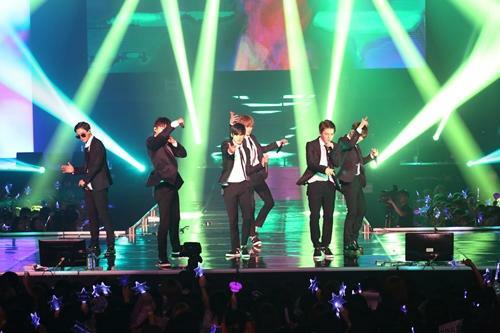 [by Woorim Ahn] TEENTOP will fly over to New York to attend ‘KCON 2015’. The group is the only team who is participating in ‘KCON’ for three times in a row. K-pop leaders such as Girl’s Generation, VIXX, AOA, TEENTOP and others will join ‘KCON 2015’, which will be held at Prudential Center in New York, the United States. In particular, TEENTOP held ‘TEENTOP World Tour High Kick’ in New York, Los Angeles, San Jose in the States and in Toronto, Canada and successfully wrapped up its North America tour. Moreover, the group will perform the title song ‘Ah-ah’ of its new album ‘Natural Born TEENTOP’, which was released in June for the first time and raised the local fans’ expectations for its special stage.